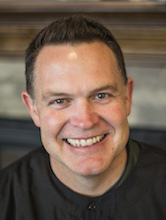 Matt has been with Corpuz Family Dentistry since July of 2018. Matt’s favorite thing about being a dental hygienist is his patients, making connections, and educating patients about the importance of oral health. When Matt is not in the office he and his wife are usually Uberingtheir two active children to dance and soccer. If Matt is lucky on a sunny day, you will find him out on the golf course.